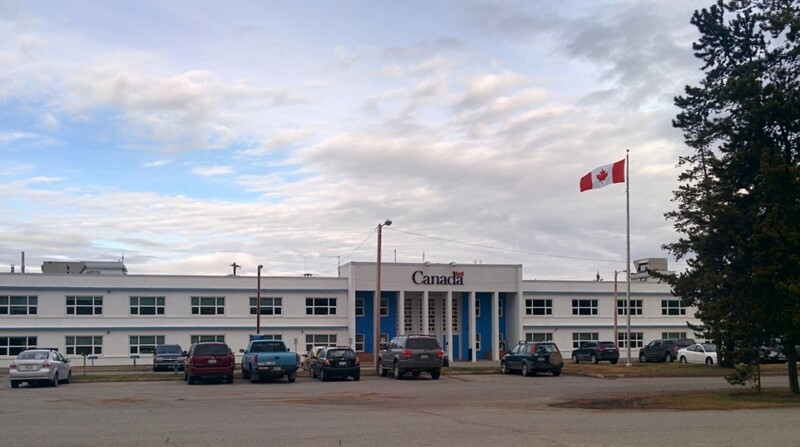 The Former Northwest Highway System (NWHS) Headquarters, also known as Building 200, was constructed in 1952, and is situated on the former Camp Takhini military base. The great influx of American armed forces and civilian contractors during the construction of the Alaska Highway was accompanied by a great sprawl of hastily-built, flimsy, temporary camps and housing around the edges of Whitehorse. Built to a Department of National Defence plan, Building 200 showed a commitment to the Yukon’s future and the status of its new capital city. Credit: Yukon Archives, James Y.C. Quong fonds, 2006/140 #3-5-47. On 1 April 1946, six months after the end of the Second World War, the American army officially handed over responsibility for the Alaska Highway to Canada. The Canadian Army was now responsible for highway upkeep and improvements and was based in the area known as Camp Takhini. Meanwhile, another new community in Hillcrest housed air force personnel who took over airport operations. These two new communities had a profound impact on Whitehorse, creating a culture of “upper” Whitehorse with new houses and modern services compared to rudimentary conditions in the valley. It also oriented the town away from the sternwheeler heritage of the Yukon River and toward the new highway and new transport options. The area that became known as Camp Takhini or the Takhini Subdivision was built during the postwar period to house Canadian Army personnel and their families. Initially this area was occupied by a collection of “Cemestos”, temporary housing for Canol refinery workers built on the wooded escarpment northwest of the Whitehorse valley. In the late 1940s and early 1950s, these were replaced by duplexes, a few single family dwellings, and larger barrack buildings all set along winding streets named after European battles. This self-contained community included its own store, recreation centre, power plant and school. The structure at 200 Range Road was built in 1951-52 as a barracks building for single men and housed 166 people. 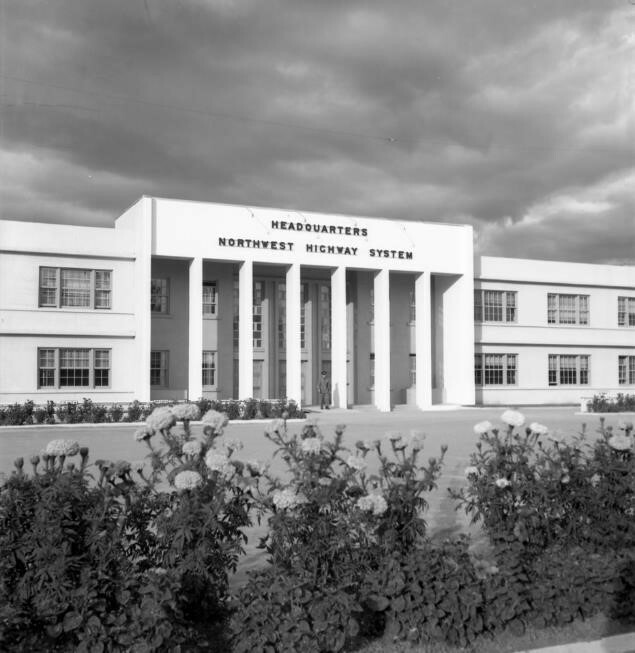 Within a few years, however, the building was converted into administrative offices and became operational headquarters for the Northwest Highway System services in 1955. In 1964, the federal Department of Public Works took over responsibility for the Alaska Highway, and the military moved out. In 1995, Building 200 underwent extensive interior renovations. It continues to house government offices, both federal and territorial. The building was listed as a “Recognized Federal Heritage Building” on 10 December 1992. The designation is confined to the building’s footprint.